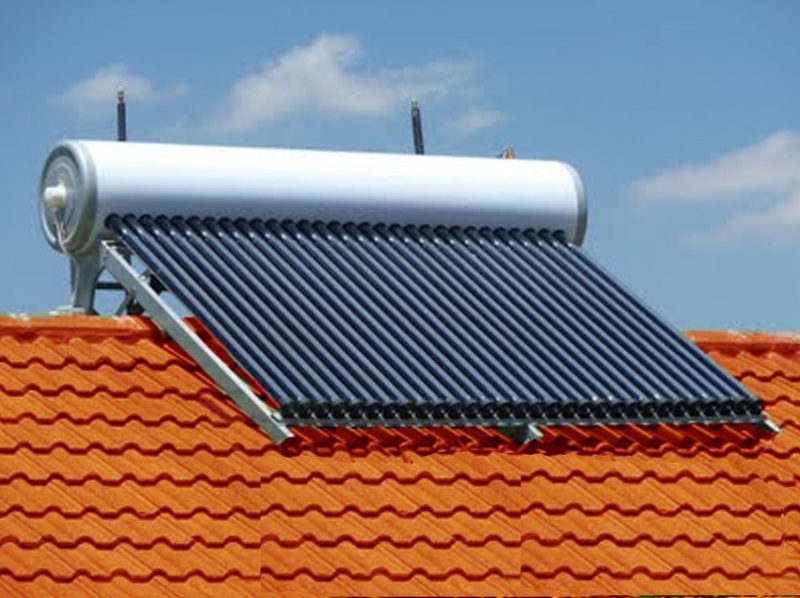 Like everything in life, there are rules relating to the effective operation and long life of solar water heaters. As initial costs are high the customer must ensure the quality of the recognized product has a proven track record of long life under harsh African conditions. Maintenance is important as the guarantee conditions are found in the fine print. Water quality and more importantly hot water plays an important part in the life of a SWH. Systems having an enamel lined tank have a magnesium anode which needs a periodic replacement to validate the guarantee. This is often overlooked which renders the guarantee invalid. The correct grade of stainless steel for hot water cylinders is grade 444. Lesser grade stainless steel has lesser quality welds which shortens lifespan of the system. Lower grades of stainless steel are typically around grade 304. 75% of collectors used in the world today are the evacuated tube type. The evacuated tube type has either a copper heat pipe, a copper U tube or the original open glass tube. Copper has a market value and is subject to scaling in hot water, thus long-term performance is unknown. Flat plate collectors with copper risers are still manufactured by many including the world famous Solahart and many other European manufacturers. Should the product fail, the consumer must be able to communicate with the local agent who in turn must be able to talk the manufacturer in a common language. Once a suitable product has been sourced the installation is critical. Thermosiphon systems are generally the best suited for domestic and smaller installations. In 2013 the South African Parks board called for ideas to reduce their high use of electricity for heating water, MaxLite came up with the most cost-effective solution. The locally produced, WaterLite 110Lite system, SA patented and unique system proved to be the right choice. One affected area was the kitchen servicing the canteen. 2 x 200Lt standard electric water heaters fitted with 4kW electric elements were replaced with 5 x 110Lt gravity outlet solar water heaters. The solar waters are not fitted with any electrical backup. The SABS approved replacement SWH have plastic tanks which cannot corrode. The required capacity water flow was achieved by using 32mm pipes to feed the kitchen. Now no electricity is used to heat water in the kitchen and many other areas of the building. The kitchen area saves approximately 1000kWh per month. The 5 member family have 2 South African manufactured 150Lt high pressure systems. Electricity usage for water heating in this house has been about 40 days per annum for the past 4 years. South Africa had a government subsidized SWH project which boasts many success stories but 5 years later, many suppliers have disappeared leaving an 85% failure rate in the gravity outlet type market. There are many thousand SWH manufacturers in China all wanting to sell to Africa but the Chinese plumbing arrangement is different to that of Africa. These failures were generally products sourced from the East and “adapted or modified” to suit local conditions. About 250 000. Low pressure systems are available as scrap in South Africa. Standards of product and installation are very important and should not be ignored because of cost. Experienced installers must also be held accountable for good performance and not land in hot water. MaxLite (Pty) Ltd. was founded in 1989 by Trevor van der Vyver, who at that time was in a position to identify a need for alternate energy within South Africa. MaxLite’s initial focus in the alternate energy industry focused on solar power and gas as a means to charge batteries. MaxLite has focused on solar power for over 20 years. MaxLite specialized in both solar photovoltaic’s as well as solar thermal.